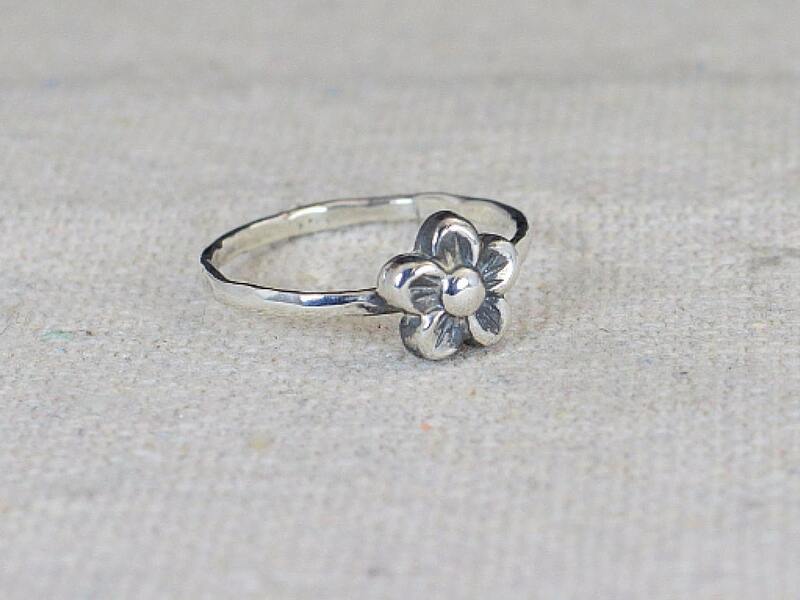 - Silver flower carefully handmade here in our studio. 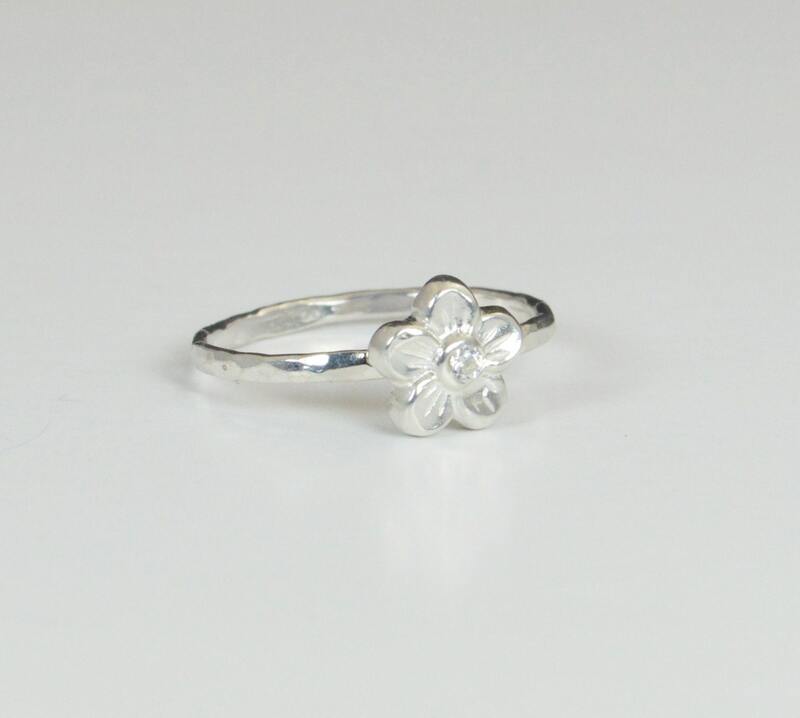 - Delicate hand hammered silver band. • Each band is 1.5 wide by 1mm thick. 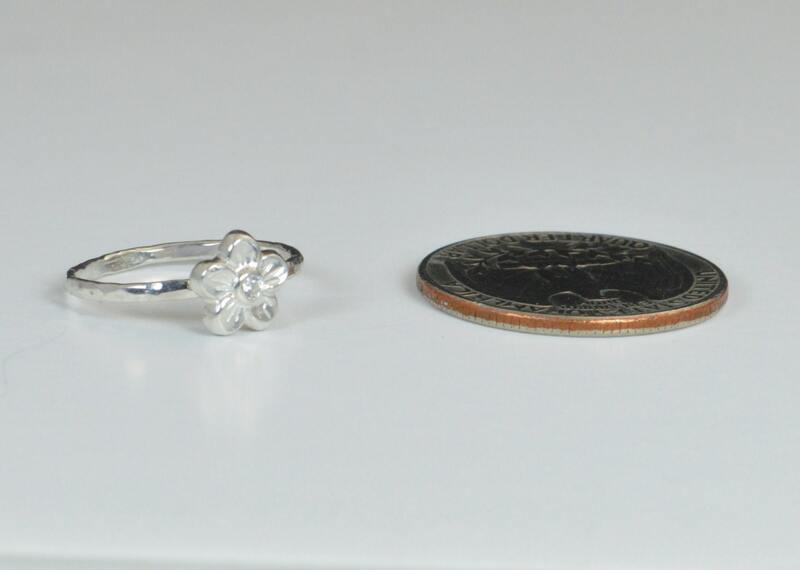 • Each ring weighs 1.5 grams. 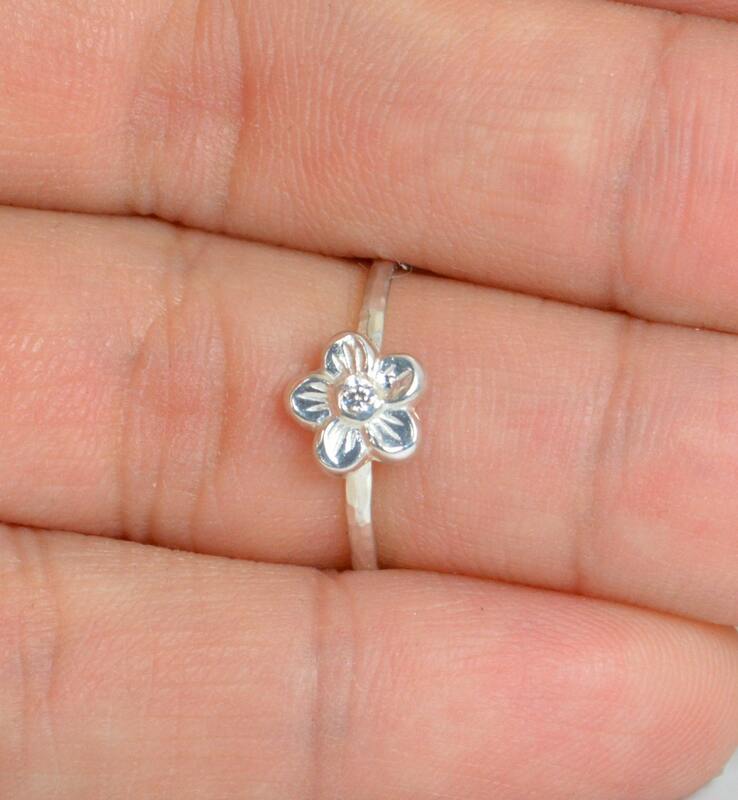 Beautiful flower ring, great design and craftsmanship. Got it on time. Antiqued patina looks great.